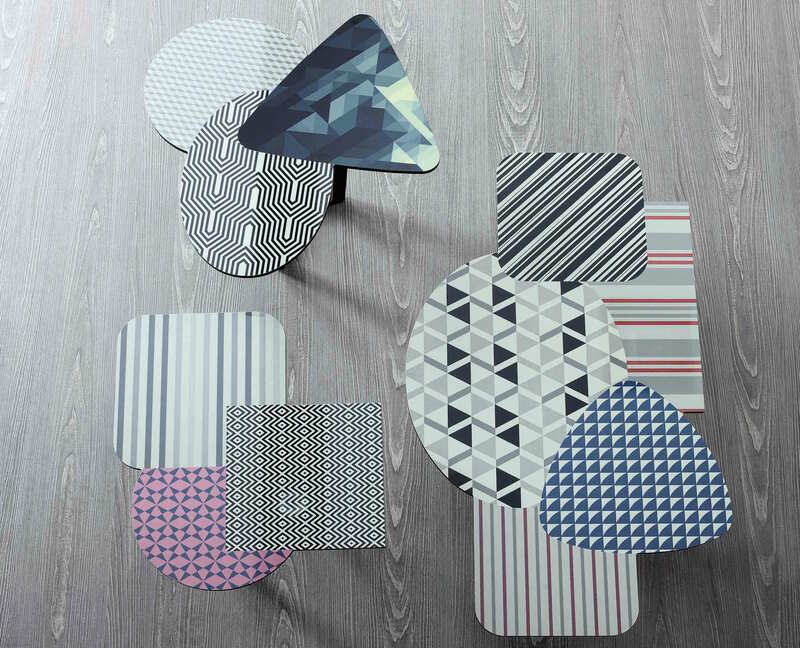 Original family of occasional tables with printed laminate tops. 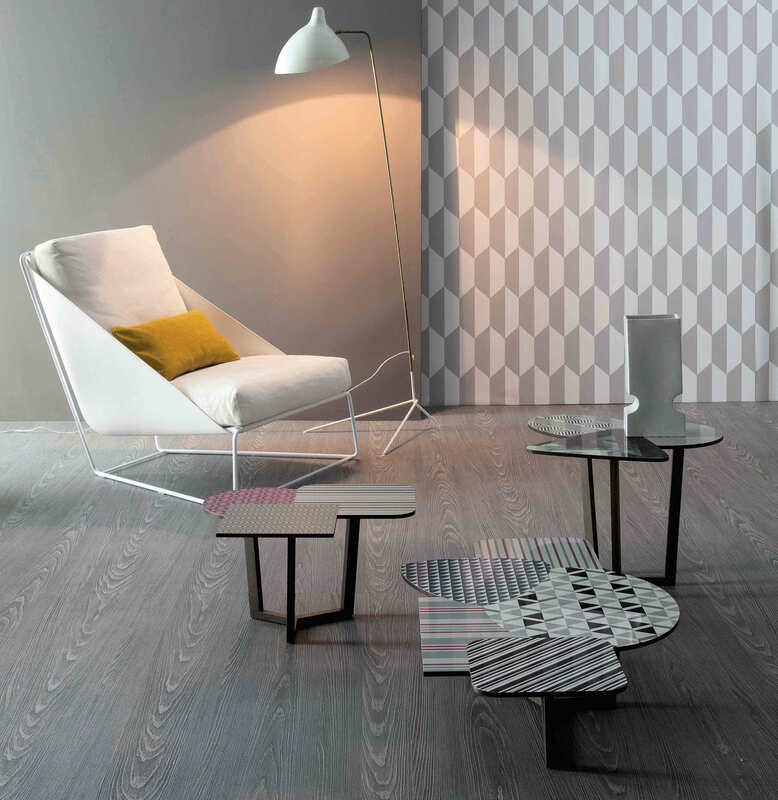 The Doppler occasional tables have very original printed laminate tops is contemporary shapes, supported by a wooden frame in ash in three finished. There are three sizes to choose from, making this a versitile table for any space. So dive in and make a splash . . . of colour! If you cannot see the standard option you required or woud like to discuss sizes and base finishes please contact us at purves@purves.co.uk or call 020 3397 3723. Base - Ash painted walnut; Natural ash; Ash polished grey.